Hey everyone! Today is a Whimsy digital release and the DT have split in to two teams to celebrate and to show off the new designs! Half the team are taking part in a blog hop (start HERE at Ann's blog!) and the other half of the team are taking part in a month long digi release challenge! 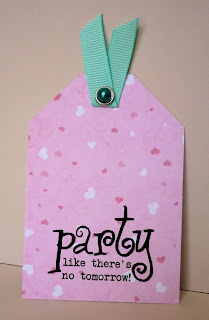 I'm in the challenge team and we want you to use markers, papers, flowers and a Whimsy image! That's all, nice and easy. So here is my card! I have used one of the brand new images by new designer, Melissa from Meljens Designs. Melissa has produced a series of Little Red Riding Hood images for Whimsy and they are Fun with a big, fat capital F! 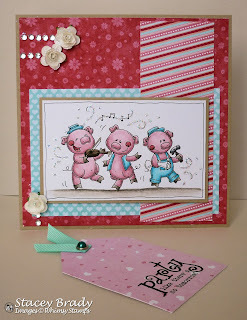 As well as the Whimsy challenge, I also managed to incorporate a few other challenges in to this card. * Copic Colour Challenge - BG11, BG02 and R20. 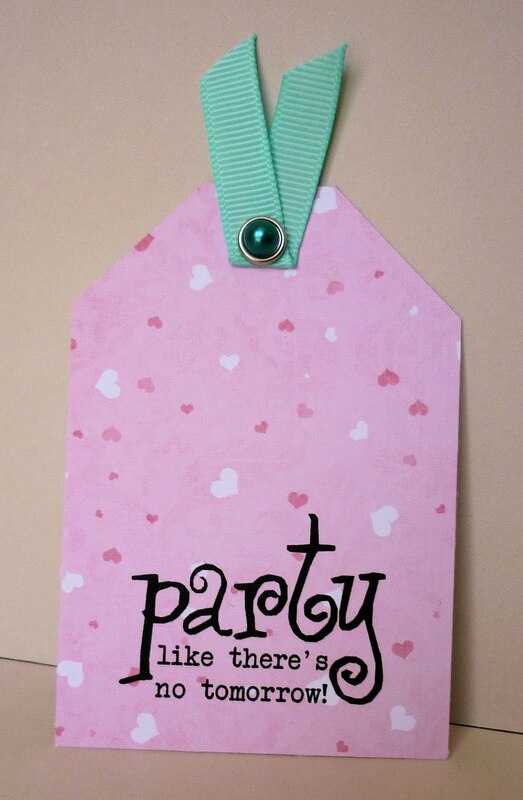 * Charisma Cardz - Girly Card with Flowers. * Allsorts Challenge - Animals. * Stamp with Fun - Friends. * Truly Scrumptious - Sketch with the added option of using a hidden tag. Like that sentiment? Well, this is also part of the new release and has been designed by Raindrop Echo Designs. Ann has designed lots of new word art which will be available in the Whimsy store, along with all the other new designs, from 9am EST today. Digi Image: 'Three Pigs' by Meljen Designs for Whimsy. Digi WordArt: Raindrop Echo Designs for Whimsy. Digi Paper: Cloud 9 by Sweet Shoppe Designs. Copic Markers: E33, E35, E37, R20, R22, R35, R37, R59, R81, R83, R85, BG00, BG01, BG05, BG09, W1, W3, W5, W7. Tools & Embellishments: Stickles, roses, brad, ribbon and gems from stash. So, do you fancy joining in with us this month? All you need to do is follow the recipe (markers, papers, flowers and Whimsy image, to be eligible to win a prize. The challenge will run through the month of May and a winner will be drawn at random on the 31st. We can't wait to see what you create! Absolutely gorgeous Stace! Love it! This image is fabby isn't it! Fabulous card, these guys are just adorable. 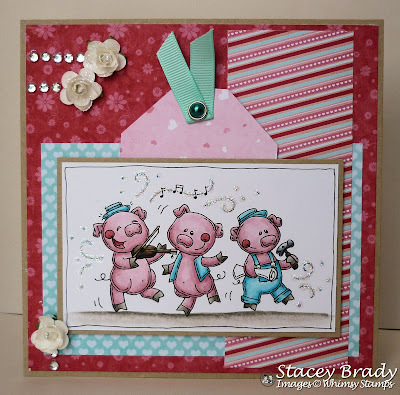 sooo cute stacey...love the sweet image and the colors! Stacey this such a cute design, LOVE the added tag and great layout...What a wonderful job you did with this image!!! Hi stacey! what a fun card!! I love this!! Aw! This is so adorable Stacey!! 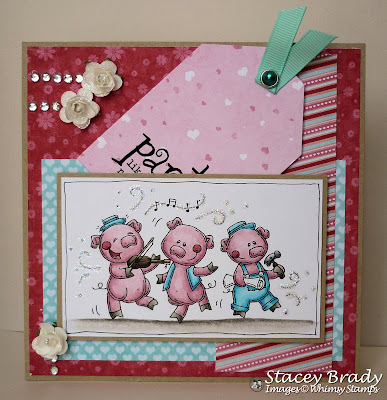 I just love your coloring of the pigs and the sweet little tag! Hello Stacey, I love your card. The 3 little pigs are tooo cute! Love the way your card looks! Oooh, this is gorgeous! Lovely papers and the little piggies are so cute! Thanks for joining us at TS! Gorgeous card Stacey, love those piggys. Fabulous card Stacey. I love the image and the sentiment on the tag. Great colours too. Ooooh such a cute little card Stacey! Thanks for the little surprise that landed on my doorstep today! It certainly put a smile on my face after a hard week back at work! You are so kind! Have a geat weekend hun! Ohmygosh, so cute! Love the colour combo!